I've been enjoying the springtime scenery with all the free time I have from not cooking. The blossoms around here are a whole different kind of feast! My last post was nearly two weeks ago and I have scarcely cooked anything in that time. I call this the “eggs and popcorn” phase of the semester when I have so many final projects and end-of-year things to do that I stop thinking about food altogether. To be fair, I don’t stop thinking about food, or eating food, I just stop cooking it. Take Monday, for instance. I had an apple for breakfast on the way to an internship interview about 20 miles south of New Haven. After a lovely meeting I got back in the car to drive 35 more miles north-west for another interview. By the time that was over and I had finished my loop around Fairfield and New Haven Counties it was time to pick the kids up from camp (yeah, they’re out of school during my last week of classes…nice, huh?). I hadn’t eaten anything besides that apple and I was starving. I weighed my options. I could go home and make myself a salad. I could go to the market and buy a veggie sandwich. Or, I could pick up the boys and take them out for nachos and french fries. Going to the pub quickly took the lead and I may have eaten poorly, but the boys thought it was great so I think it was a win-win in the end. 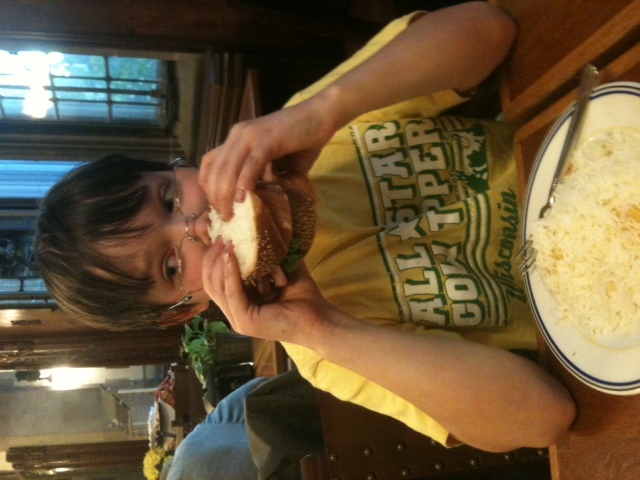 This is Noah enjoying a cold-cut sandwich at the dining hall last night. We've been eating a lot of dinners there lately--no cooking, no washing dishes, what's not to like? In other domestic news, the kids are all being fed, the house is very clean, the laundry is finished (as much as that is possible with three kids) and I even reorganized my linen closet. I have finished nearly all of my coursework for the semester and today is my “middler review”–a mid-degree evaluation meeting where a group of people and I get together to talk about my future (gulp). I am incredibly lucky to have such a great group who will gather today for this conversation, including my bishop (all the way from Salt Lake City), one of my favorite professors (no, he doesn’t read this blog), my advisor, my internship supervisor, and a very good friend who has been mentoring me in this whole “food ministry” piece of my life. I’ m pretty sure I’ll be the only non-ordained person in the room! I think it will be a fruitful conversation and I am really excited to see what comes of it. Your prayers for this conversation, if you do pray, are most welcome. Meanwhile, when I’m not eating nachos for lunch and pie ala beer for dinner, we have been eating a lot of eggs (and popcorn). So, rather than giving you a recipe, I commend to you the humble, but ever versatile, egg. You can scramble it, fry it, poach, it, hard or soft boil it, but anyway you cook it an egg is quick and nutritious and my whole family will eat them. Popcorn is an ideal accompaniment. The great thing about loving food is that I love just about all food. So, while my eating repertoire doesn’t sound very “gourmet”, my life is rich and eggs and popcorn will do just fine. Wow! 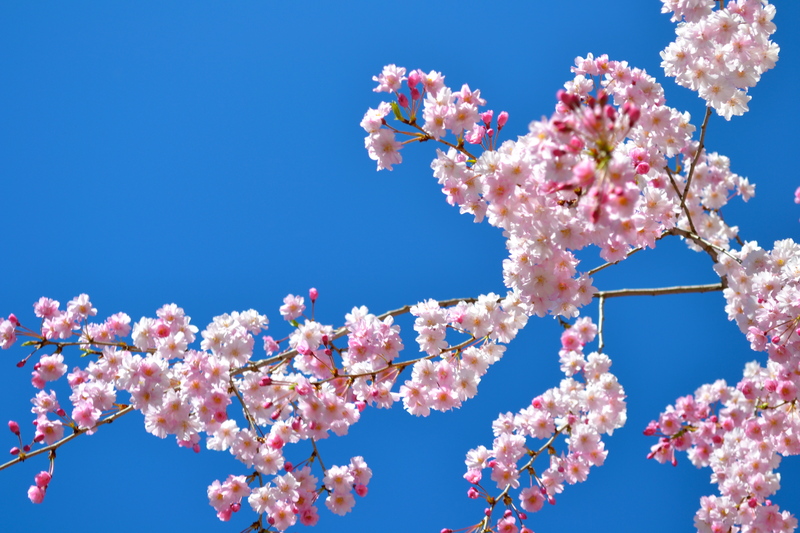 I hope that your middler review went okay and that you are feeling confident in your call, even as it continues to unfold amidst fields of blossoms, laundry, and spanakopita. Blessings for this home stretch of the semester!